I have this turtleneck in grey and black and they have both been on repeat in my closet. 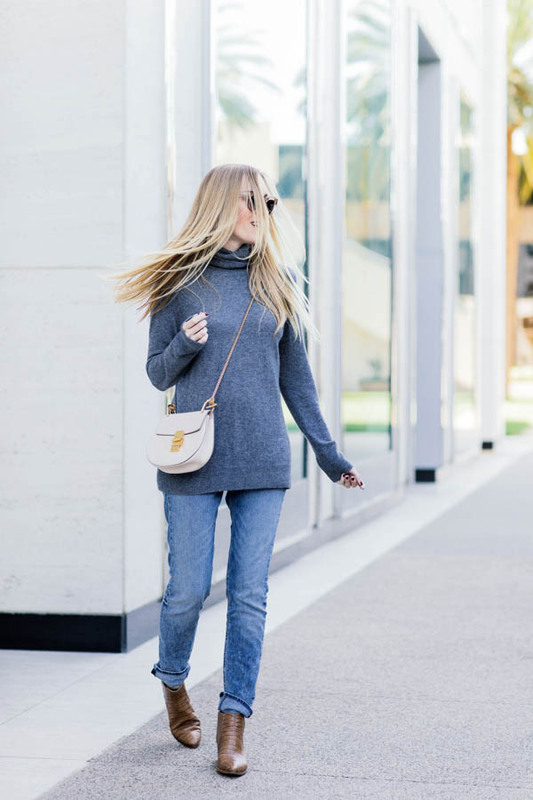 When I am feeling especially lazy, I throw on this turtleneck with a pair of looser denim and a pair of ankle boots. I grabbed a latte at a favorite new spot call KIT in Newport Beach. The interior is so clean and modern and filled with greens. Check it out if you are in the neighborhood. I also LOVE their matcha latte. I am currently in San Diego for the week so any suggestions for food, coffee, play, leave me a comment below. Have a great week friends. Kristin - Love the cozy and I feel like I too am wearing whatever is comfortable nowadays to get me through to spring. This time of year is totally annoying on the east coast for fashion because its cold but all I want is spring clothes! Natali - Such a great sweater and perfect pair of boots! I like the way you have styled this combo, you’re looking lovely! Liv - Love the relaxed fit of your denim! 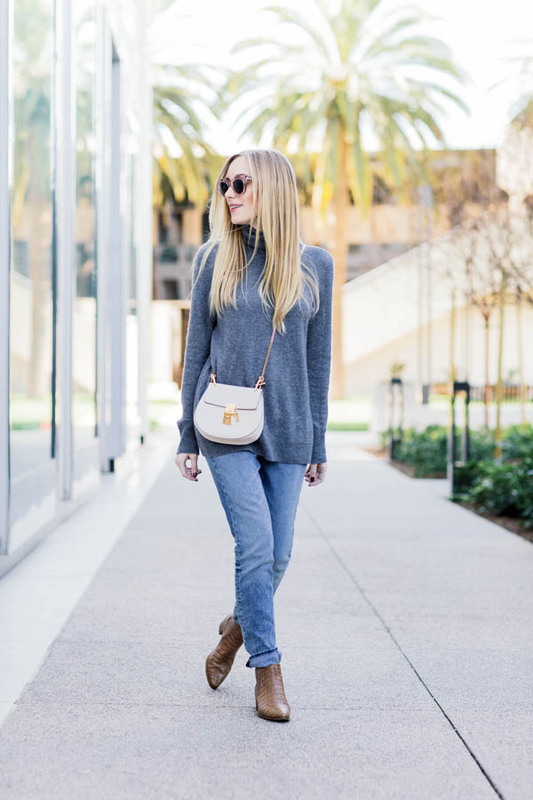 Kristina - Love this simple but really cool outfit, my favorite is the super cute bag! Rachel - Simply pretty and cozy! Love this look! 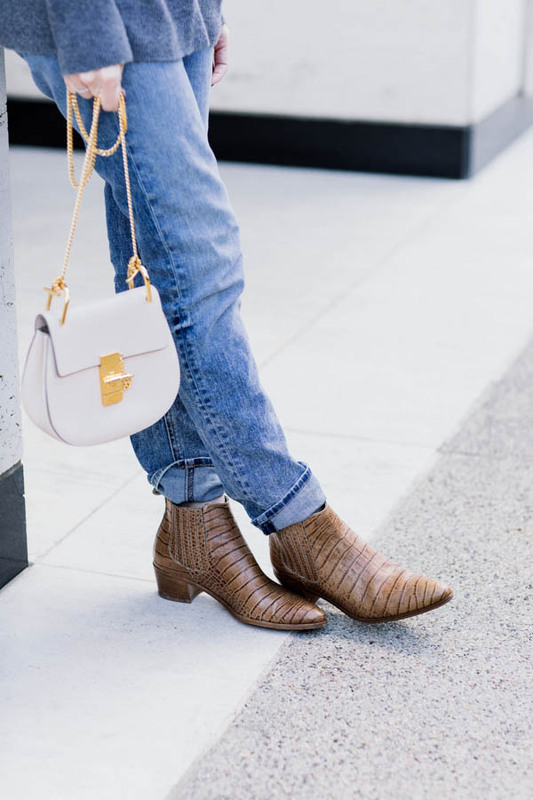 Aria Di Bari - Such a perfect cozy look, love the boots and the bag!